The Stratoliner Lower Cowl with Box makes for greater rider comfort. Handy compartments on each side provide convenient storage for small items. 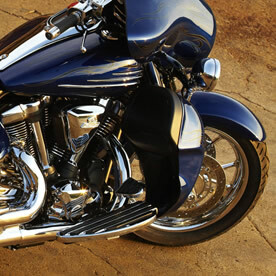 Styled to compliment the flowing lines of the Stratoliner Deluxe fairing and saddlebags.